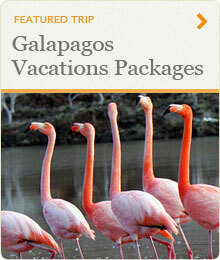 The list below includes Peru For Less' favorite boats in the Galapagos Islands. The Galapagos Journey I is a luxury power catamaran offering high quality and comfortable cruises in the Galapagos Islands since 2006. The boat comprises 6 twin bed cabins and 2 suites equipped and decorated with the highest standards in mind. The M/C Galapagos Journey I is a very spacious yacht with larger- than- average inside and outside social areas. The Catamaran has lots of open deck space allowing guests to make the most of the natural wonders of the Galapagos Islands. It is also offers a wide range of activities such as snorkeling, sea kayaking and excursions with a naturalist multilingual guide. The Coral I, with a European design and modern shape, offers more space, comfort, and security for a naturalist cruise. It is an attractive and functional mid-size yacht that is perfect for an intimate experience while cruising the islands. Some cabins are adjoining—perfect for families and special groups. It has eighteen spacious cabins decorated in classic marine style distributed between the earth and sky, and sky decks. There is plenty of room for storage, and moreover, all beds in all cabins are lower bunks and can be arranged as matrimonial, single, and double beds. Each cabin has its own private facilities and hot shower. The Coral II is an 11-cabin yacht featuring an eye-catching design that is a beautiful blend of form and function and boasts romantic and cozy living areas, intimate and modish dining, and sleek and seductive outside decks. The amenities and outstanding service make the Coral II the ideal yacht for experiencing the marvels of the islands. The Coral II accommodates 20 passengers, and is ideal for those who want to discover the islands with privacy, intimacy, and supreme comfort. The excellent cruising speed means more time for visiting the islands and enjoying activities with small group shore visits. The pinnacle of luxury trips within the Galapagos Archipelago, a journey aboard the classic Yacht La Pinta will let you experience all the wonder of the aptly-named Enchanted Islands. La Pinta covers all aspects of the Galapagos: discovery, adventure, environmental interpretation, aquatic activities, relaxation, superb service and great dining. Naturalist guides enhance their interpretative skills with the use of state-of-the-art-expedition equipment. The staff embraces a spirit of adventure, while at the same time ensuring that you always travel in comfort and safety. The recently refurbished Monserrat is one of the newer yachts in the Galapagos, and was designed to complement unforgettable excursions to the Galapagos Islands, while providing the utmost comfort during times of leisure. Known for its elegant decor, excellent cuisine and for the great space of its social areas, the yacht is also amongst the fastest vessels of similar size operating in the Galapagos. This 16-passenger vessel is gracefully appointed, including carpeting, wood paneled interiors and attractive paintings. It is also outfitted with elegant granite surfaces and glass curtain doors in the bathrooms. The ship’s social areas include a lounge with flat screen TV, well-stocked bar, dining room, small boutique and 3 sun decks. This boat was named in grateful memory of Angel, the grandfather of the Galapagos born brothers, Hugo and Leonardo Andrade, who helped his two grandsons build their first fishing boat, with which they could earn a living and support their families. This boat is now equipped with all the facilities needed to provide maximum security and comfort for tourists—including eight double cabins, each with a bathroom and shower. All cabins have air conditioning and a fan. Built in the Galapagos, Angelito's solid wood construction has more than proven itself, as shown by its unblemished safety record. Aida Maria offers a great combination of comfort, style and economy for tours in the Galapagos. Each of the eight double cabins has a private bath and hot shower, air conditioning, and an ample external deck to enjoy sunny Galapagos days. Its design is based on efficiency and comfort, with ample social areas and a solarium deck providing optimum comfort for your experience exploring the Galapagos. This motor yacht is equipped with all the necessary facilities for your comfort and safety. Guantanamera offers 6 double cabins with upper and lower beds and 2 double cabins with queen size beds. 5 of the cabins are on the upper deck, while three cabins are on the lower deck without windows. All cabins have private baths and showers, air conditioning, and hot water. A certified professional and bilingual guide will assist you during the entire cruise. Guantanamera offers good service and fine food. This is a beautifully decorated motored sail boat built in 2002 to meet all international marine safety regulations. Cachalote I accommodates up to 16 passengers in 8 tastefully designed cabins (6 with upper/lower bunks and 2 cabins with double lower bunks) including private baths with hot showers and air-conditioning. There is plenty of social space, distributed on 3 different wooden decks, with seats and cushions to relax in the shade or sunbathe during the cruise. The Nemo II is ideal for families, groups of friends, naturalists, or diving cruises. This large sailing catamaran was specially built to take up to 12 passengers, accommodated in 6 double cabins - each with private bathroom. The ingeniously designed saloon, the vast cockpit, and the unique exterior surface make this beautiful catamaran an exceptional cruising boat. You will be amazed by the stability and service aboard the Nemo II. Aboard are also available snorkeling equipment, a sea kayak and dinghy. Enjoy the paradise of the Galapagos Islands while navigating in a 114-passenger luxury expedition cruise ship that was totally renovated in December 2001. The Galapagos Legend has all-new passenger accommodations with 1,800 square meters of social areas. Built with marine-certified materials that fulfill Safety of Life at Sea specifications, you will be well cared for on this beautiful vessel. The 43 cabin M/V Santa Cruz, built exclusively for Galapagos Islands cruising was completely renovated in 1998, having been redesigned and refurbished inside and out. The Santa Cruz has gained worldwide recognition for its excellent standards, including superb service, expert crew, the most knowledgeable multilingual naturalist/guides and menus that feature the very best international cuisine and celebrated Ecuadorian dishes. Have you ever wondered how we choose the Peru For Less Top Hotel Picks? Well, this is the job of our Destination Manager, one that is envied by all the staff at LAFL. Throughout the year our Destination Manager travels to all our destinations to check out our hotels and make sure they are up to par. His role is to help us get the best rates at the best value hotels so we can, in turn, offer them to you.